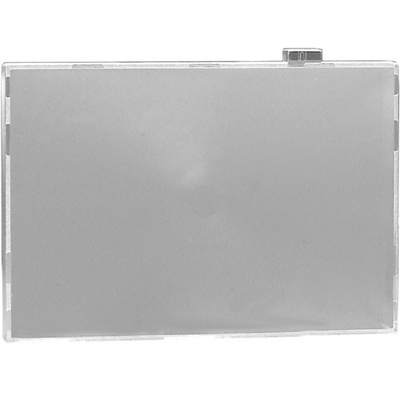 Product #5786 | SKU FAC15601 | 0.0 (no ratings yet) Thanks for your rating! The F6 camera features interchangeable focusing screens. The type "U" interchangeable focusing screen has a matte/Fresnel field, AF marks, and 12mm microprism collar. This focusing screen is similar to the standard type "B", also offers unobstructed viewing and easy focusing on its overall matte surfaces, but is primarily designed for lenses with a focal length longer than 200mm. Box Dimensions (LxWxH) 2.677 x 2.205 x 0.63"